Dealing with Common Homeowner Problems – Is the Fence Your Responsibility? 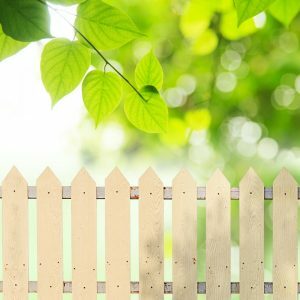 Whether you just bought a house, or you’ve had one for quite a while, the problem of whether the fence that separates your yard from that of your neighbor might be your responsibility is one that has puzzled American residents for quite a while. Before you dig out all the relevant blueprints and documents, you might want to check on the regulations that have to do with this matter. In most cases, the rules state that you are only responsible for the fence on the right hand side of your property. That means your neighbor will be the one responsible for the one on the left hand side. Unfortunately, this doesn’t always work out like that, and in many cases, you’ll find you have to discuss the matter with your neighbor. The deeds are your best friends in this case, since they will usually provide you with the right information. So, if the deeds reinforce the idea that your neighbor has to take care of the right hand side fence, then all should be well. However, you have to be careful from the start, as in some cases, the deeds will put you in charge of all fences, or they will only require you to tend to the one in the back, while your neighbors take care of the other fences. Once you determine who is responsible for fence replacement, know that before any digging takes place, you must protect infrastructure and utilize Colorado call before you dig programming to make sure digging does not break any buried cables or wires.